TGIF! I hope that you have all had a great week! I'm heading to Holiday World (amusement park/water park) today with Adelyn, my mom, my sister in law, and niece. I think the kiddos are going to love it! I'm loving this color block cardigan from Target. You cannot beat cozy cardigans for fall, am I right? 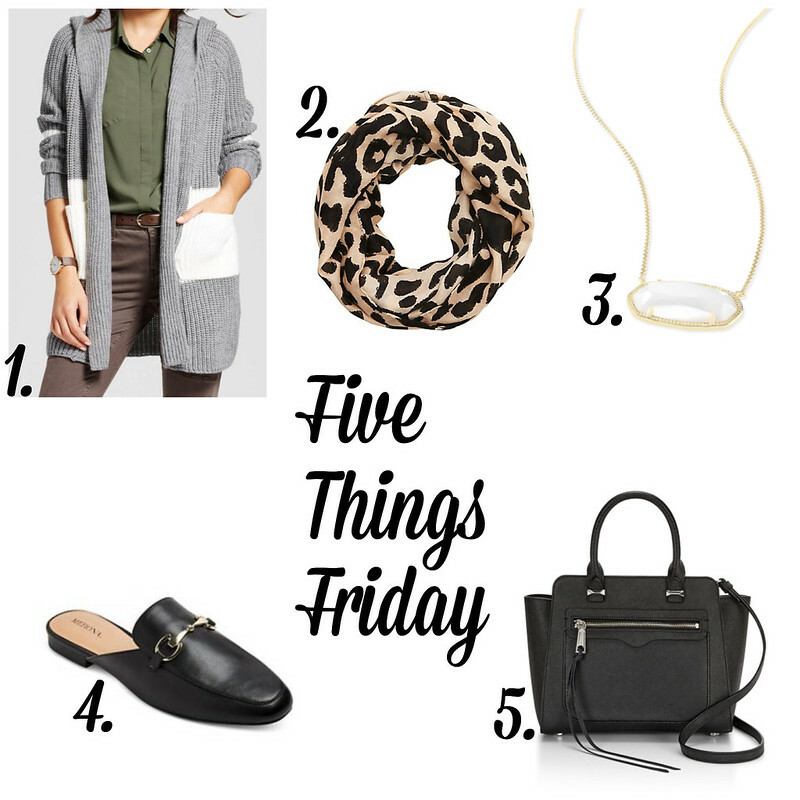 This leopard infinity scarf is similar to one that is very popular in the current Nordstrom sale and this one is on sale for $7.99! This Kendra Scott necklace is really pretty and is one that would go with everything. I love simple, versatile jewelry! I bought these black slides from Target recently and they are so cute, comfortable and very affordable. They are definitely a closet staple for fall! Lastly, this handbag by Rebecca Minkoff looks like such a great bag and as I have mentioned before, her bags are made of the softest leather and they hold up really well. I hope that you all have a great day and an even better weekend! Thanks for reading!